Today on the blog, I’m sharing an excerpt from my book. Chapter 3 of the book covers newborn medical procedures, including in-depth discussions of the history and science of the vitamin K shot and erythromycin eye ointment. Recognizing that some parents are concerned about the ingredients in the vitamin K shot, I really dug into the details on these, but then I ended up making this section an appendix so as not to bog down the chapter with too much chemistry. This is one of the those topics where a Google search turns up a lot of misinformation that can be very misleading to concerned parents, so I wanted this information to be accessible on the Internet as well as in the pages of my book. In the U.S. and many other countries around the world, a single intramuscular injection of vitamin K is recommended for all newborns soon after birth. Vitamin K is necessary for normal blood clotting. Without it, any small internal injury – which might normally clot and heal quickly – could turn into a dangerous hemorrhage. During pregnancy, vitamin K transport across the placenta is very poor (1), so babies are effectively born deficient in vitamin K. Breast milk is also very low in vitamin K, further limiting the supply of this nutrient in exclusively breastfed babies until they start solid foods (2,3). The newborn vitamin K shot corrects this deficiency, preventing rare but potentially devastating vitamin K deficiency bleeding (VKDB). It has been routinely given in the U.S. since 1961, when it was officially recommended by the AAP (4). This is an evidence-based recommendation. The shot is safe and effective. Of all the many questions that I researched for my book, this one was one of the few that had a crystal clear answer. There’s just no good reason to decline the vitamin K shot and leave your newborn at risk for VKDB. But over the last few years, we’ve seen some evidence that more parents have been declining the newborn vitamin K shot for their babies. In November 2013, the CDC reported an alarming cluster of 4 babies with late VKDB, all born in the Nashville, Tennessee area and treated at Vanderbilt University Medical Center. Doctors at Vanderbilt later published a case series of these babies, plus a fifth case (5). Four had bleeding in their brains, and two of them required emergency brain surgery. All had been healthy babies at birth and had been breastfed, and none had received the vitamin K shot. In a paper published in Pediatrics in 2014, researchers in Alberta, Canada, reported that the rate of refusal of the vitamin K shot had increased there between 2006 and 2012 and that parents who declined vitamin K were also more likely to choose not to vaccinate their kids (6). When I started researching the vitamin K shot, I found lots of scary blog posts about ingredients in the shot. These invariably pulled information from the package insert for vitamin K but failed to put it in context or attempt to understand what it means. But all of this means that package inserts can sound pretty scary, and it gives anti-vitamin K bloggers plenty of material for trying to frighten parents away from the shot. That’s why I wanted to look carefully at each ingredient, the dose included, and published information on safety. The first step to understanding information like this is to not be afraid of unfamiliar chemical names. Everything in the world is made up of chemicals, including us. When scanning an ingredient list, whether or not you can pronounce the names or if they are natural or synthetic tells us nothing about their safety. Consider these examples: Dihydrogen monoxide is water. (I know that’s a tired example, but it’s such a good one.) Ascorbic acid, α-tocopherol, and pantothenic acid are all vitamins found in food and needed by our bodies (they’re commonly known as vitamin C, vitamin E, and vitamin B5). Lacto-N-tetraose and LS-tetrasaccharide are two types of human milk oligosaccharides, naturally-occurring sugars found in human milk that contribute to the development of a baby’s microbiome and immune system. If you really want to understand chemical safety, you have to get past those daunting names and look at data, which is what I did for my book. BabyM received his vitamin K shot within an hour of his birth last December. He was skin-to-skin and nursing (both of which reduce pain) when he received the shot, and he didn’t even appear to notice. I was happy to know that he was protected from vitamin K deficiency bleeding (VKDB) from the start. Appendix A: Are the Ingredients in the Newborn Vitamin K Shot Safe? In chapter 3, I discuss the evidence for giving the vitamin K shot at birth. Despite its proven benefits, some parents opt out of giving their newborns this shot. When asked why, one of the common concerns is that the shot contains “toxins” (5). I’ve carefully evaluated each ingredient and concluded that this fear is unfounded. The vitamin K shot is safe. All of the ingredients serve important roles in the efficacy and safety of the shot, and none pose toxicological concerns in the amounts used. Anytime you want to know whether a chemical is safe or effective, it is critical to look at the amount used, or the dose. A life-saving drug, for example, could be worthless if you didn’t take enough of it. It could also be toxic if you took too much. For the vitamin K shot, there are toxicological concerns with several of the ingredients, and these concerns are listed on the package insert for the vitamin K shot. However, in all cases, these were based on incidents using large, often continuous, intravenous doses of these ingredients, quite different from the one-time intramuscular dose of the vitamin K shot. Two types of vitamin K shots are used in the United States. Both contain phytonadione, another name for vitamin K1, but they contain different “inactive” ingredients. Most hospitals use the preservative-free version for newborns, so let’s start with the ingredients in this one. Polysorbate 80 is made from a plant-based sugar alcohol (sorbitol) and a fatty acid (oleic acid). It’s often used in ice cream to make it smoother (9), and it serves a similar purpose in the vitamin K shot. It is an emulsifier, helping fat-soluble vitamin K stay in solution. Polysorbate 80 was probably the culprit when an intravenous vitamin E product proved to be toxic in premature babies (an incident included on the package insert for the vitamin K shot), but these babies received more than 70 mg/kg daily for weeks and even months (10,11). The one-time vitamin K shot contains 10 mg of polysorbate 80 (about 3 mg/kg for a 7-pound baby), and there is no reason to believe that this amount is harmful to newborns (11). Sodium acetate anhydrous (0.17 mg) helps to maintain a neutral pH in the vitamin K shot. There are no toxicity concerns with this small amount. This ingredient does contain a small amount of aluminum, which is noted on some package inserts, but the amount is no more than 0.05 μg (a μg is 1/1000th of a milligram). At birth, a newborn’s body already contains 8,000 times this amount of aluminum (12). Glacial acetic acid (0.002 ml) is a weak acid and the main component of vinegar. It is used to adjust the pH and has no safety concerns as used in the vitamin K shot. Polyethoxylated castor oil acts as an emulsifier and solvent to keep vitamin K in solution and is used in many other drugs for this purpose. Very rarely, this ingredient has caused an anaphylactic reaction in patients receiving large doses by intravenous infusion, but there are no reported cases of this effect in newborns receiving the intramuscular vitamin K shot with this ingredient (14). Dextrose monohydrate is a fancy name for glucose, the simple sugar that circulates in our blood and fuels our cells. Much larger doses are routinely given to newborns that have low blood sugar. There are no safety concerns with this ingredient. A third product, called Konakion MM, made by Roche Pharmaceuticals, is licensed for both oral and injectable use in Europe. First introduced in 1994 in Switzerland, this product contains glycocholic acid (a bile salt) and lecithin (a phospholipid) to disperse the fat-soluble vitamin K into small droplets, similar to the mixed micelles (hence the MM in the name) that are part of the normal digestion of fats and fat-soluble vitamins. The idea behind this preparation was that it would be more absorbable via the oral route, even for babies with liver disease and limited bile salts, but it hasn’t turned out to be much more effective than the other preparations at preventing late vitamin K deficiency bleeding (VKDB) in these babies (15,16). A single case report of a baby having an anaphylactic reaction to an intramuscular injection of Konakion MM in Turkey was published in 2014 (17). The baby was treated and fully recovered, and the authors were not able to identify the cause of anaphylaxis, noting that anaphylaxis to lecithin or bile acids have never been reported. The authors also noted that theirs was the only report of this ever occurring, despite millions of doses of several different vitamin K preparations over more than half a century. Any time a baby is given a new medication or food, there is always a chance of an allergic reaction, so this is really an impressive safety record. The package inserts for all vitamin K preparations note that it can cause jaundice (hyperbilirubinemia), and this is often mentioned in anti-vitamin K articles. However, these cases occurred in babies receiving 10 to 20 mg doses of a synthetic, water-soluble form of vitamin K, menadione, which is no longer used. A 1956 paper (18) reporting this problem concluded, “There is still a place for vitamin K in the prophylaxis and treatment of haemorrhagic disease but a dose of 1 to 2 mg is sufficient.” Because of this, the recommended dose (and preparation) was changed, and increased risk of jaundice has not been observed in babies who received the recommended dose. 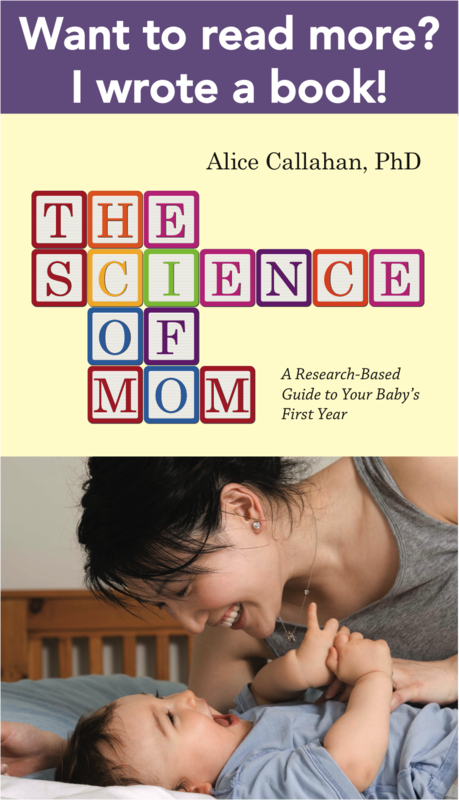 Adapted from The Science of Mom: A Research-Based Guide to Your Baby’s First Year with permission from Johns Hopkins University Press. If the ingredient list on the vitamin K shot seems a little overwhelming, I can understand how you might be tempted to opt out of the shot for your newborn. However, with all the digging I did for each of these ingredients, I see no reason to fear them. On the other hand, there is a very real and well-documented risk of skipping the newborn vitamin K shot – the risk that your baby could develop a life-threatening hemorrhage, most dangerously in the brain or gastrointestinal tract. If you’re considering declining the vitamin K shot, I urge you to first read Olive’s story, which is also included in my book with permission from her mother, who hopes she can prevent other babies from suffering as Olive did. Ensuring that your baby receives the vitamin K shot soon after birth is the most certain way to prevent the potentially devastating outcome of vitamin K deficiency bleeding. Mandelbrot, L. et al. Placental transfer of vitamin K1 and its implications in fetal hemostasis. Thromb. Haemost. 60, 39–43 (1988). Greer, F. Vitamin K status of lactating mothers and their infants. Acta Pædiatrica 88, 95–103 (1999). Greer, F. Vitamin K in human milk—still not enough. Acta Pædiatrica 93, 449–450 (2004). American Academy of Pediatrics (AAP). Policy Statement: Controversies concerning vitamin K and the newborn. Pediatrics 112, 191–192 (2003). Sahni, V., Lai, F. Y. & MacDonald, S. E. Neonatal vitamin K refusal and nonimmunization. Pediatrics 134, 497–503 (2014). Shehab, N., Lewis, C. L., Streetman, D. D. & Donn, S. M. Exposure to the pharmaceutical excipients benzyl alcohol and propylene glycol among critically ill neonates. Pediatr. Crit. Care Med. 10, 256–259 (2009). Nordt, S. P. & Vivero, L. E. in Goldfrank’s Toxicologic Emergencies (eds. Nelson, L. S. et al.) (McGraw-Hill, 2011). Goff, H. D. Colloidal aspects of ice cream—A review. Int. Dairy J. 7, 363–373 (1997). Lorch, V. et al. Unusual Syndrome Among Premature Infants: Association With a New Intravenous Vitamin E Product. Pediatrics 75, 598 (1985). Smolinske, S. C. CRC Handbook of Food, Drug, and Cosmetic Excipients. (CRC Press, 1992). Mitkus, R. J., King, D. B., Hess, M. A., Forshee, R. A. & Walderhaug, M. O. Updated aluminum pharmacokinetics following infant exposures through diet and vaccination. Vaccine 29, 9538–9543 (2011). American Academy of Pediatrics (AAP). ‘Inactive’ Ingredients in Pharmaceutical Products: Update (Subject Review). Pediatrics 99, 268–278 (1997). Riegert-Johnson, D. L. & Volcheck, G. W. The incidence of anaphylaxis following intravenous phytonadione (vitamin K1): a 5-year retrospective review. Ann. Allergy. Asthma. Immunol. 89, 400–406 (2002). Greer, F. R. et al. A new mixed micellar preparation for oral vitamin K prophylaxis: randomised controlled comparison with an intramuscular formulation in breast fed infants. Arch. Dis. Child. 79, 300–305 (1998). Schubiger, G. et al. Prevention of vitamin K deficiency bleeding with oral mixed micellar phylloquinone: results of a 6-year surveillance in Switzerland. Eur. J. Pediatr. 162, 885–888 (2003). Koklu, E., Taskale, T., Koklu, S. & Ariguloglu, E. A. Anaphylactic shock due to vitamin K in a newborn and review of literature. J. Matern. Fetal Neonatal Med. 27, 1180–1 (2014). Meyer, T. C. & Angus, J. The Effect of Large Doses of Synkavit in the Newborn. Arch. Dis. Child. 31, 212–215 (1956). I read the book last week and this was one of the best chapters. Thanks for writing it! Thank you so much for this. People can be so misinformed, these days. We fear what we don’t understand. And all those ingredients we can’t even pronounce let alone know what they are and what they do. My trust is still in the doctors and scientists. Thank you so much for this! I learned a lot and most people are simply uneducated. This really helps! This is excellent! May I share this as a guest post on our blog? Yes, just please include my name as the author and a link to my blog and book (http://www.amazon.com/The-Science-Mom-Research-Based-Guide/dp/1421417324). 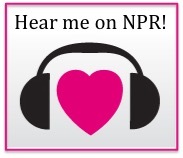 I’m happy to spread the word! can I repost on my Diary of a Yummy Grandmummy blog? Sure, as long as you list me as the author and include a link to my blog and book (http://www.amazon.com/The-Science-Mom-Research-Based-Guide/dp/1421417324). Thanks for responding. Of course I would cite you and your blog – but I don’t feel comfortable selling your book, so I won’t be reblogging. I have a question.is there a difference between getting a shot and taking in the nutrients? like the ingredients that is talked about in the shot.yes it is said that the ingredients are safe to consume but they’re not being consumed their being put into somebody’s arm.I’ve always worried about that. My son received a vit k shot,and he did need it. I heard about oral vit k after his shot. Wish I had the choice. Hi Cathy – This is a great question. All of the safety information I present in this post came from studies of these ingredients in either intramuscular or intravenous injections. Intramuscular injections are generally safer, because the ingredients are absorbed into the muscle and then slowly released into the blood. That’s how the vitamin K shot is given, and this is actually really important, because it means that the vitamin K is slowly released over the first few months of a baby’s life, giving protection from vitamin K deficiency bleeding until the baby starts eating solid foods and getting more vitamin K from diet and microbes. I discuss the option of oral vitamin K in detail in my book. Oral vitamin K is not as effective as the intramuscular shot, but it is better than nothing if given in repeated doses over several months. One of the big problems is that the oral vitamin K has to travel through the digestive tract and be absorbed into the blood that way. Absorption can be variable, especially for babies that have an underlying (and undetected) liver disease that affects their absorption of fat-soluble vitamins. Another problem is that vitamin K turns over in the body pretty quickly – it isn’t stored for very long – so that’s why repeated oral doses are important. That also means that you have to give more total vitamin K to the baby compared with the shot. The beauty of the shot is that you only have to do it once and you get that slow release, and you don’t have to risk forgetting the later doses (a real problem for sleep-deprived parents!). Plus, there isn’t an oral preparation approved by the FDA in the U.S. I do think it would be nice to have an oral preparation available and recommendations in the U.S. on an evidence-based protocol. It would be a good option for parents who are really worried about the shot – much better than nothing at all, especially if parents understand how important it is to stick to the dosing schedule.